The disease accounts for about 20 per cent of cancer deaths in Ireland. OVER 40 PER cent of lung cancer cases in Ireland are now diagnosed in rapid access clinics, but the cancer remains Ireland’s most fatal. Visits to the the clinics were up by five per cent last year, a forum held by the National Cancer Control Programme was told today. In total, 2,890 patients presented, with 869 being diagnosed with a primary form of the disease. Lung cancer is the leading cause of cancer mortality in Ireland representing approximately 20 per cent of all deaths due to cancer, killing more Irish people every year than breast and colon cancer combined. Lung cancer in Ireland has a 13 per cent survival rate, up from 9.4 per cent a decade ago. A total of 2,165 new cases were recorded last year – 904 female and 1,261 male, the forum heard. The incidence of lung cancer in women has been rising steadily over past three decades and is projected to increase by 141 per cent in women and 61 per cent in men between 2010 and 2030. Over 90 per cent of lung cancer in Ireland may be attributed to smoking tobacco and, doctors say, is therefore theoretically preventable. 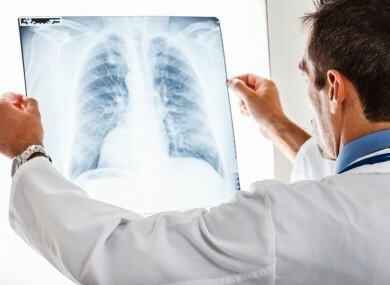 Acknowledging the poor survival of patients with lung cancer in Ireland compared to best international figures, the NCCP established the rapid access clinics and re-organised surgical services to concentrate lung cancer surgery into four centres – St James’s Hospital and the Mater Hospital Dublin and Cork University Hospital and Galway University Hospital. NCCP National Director Dr Susan O’Reilly said that quicker diagnosis leads to higher survival. Email “Lung cancer is being diagnosed faster, but remains Ireland's most fatal cancer”. Feedback on “Lung cancer is being diagnosed faster, but remains Ireland's most fatal cancer”.